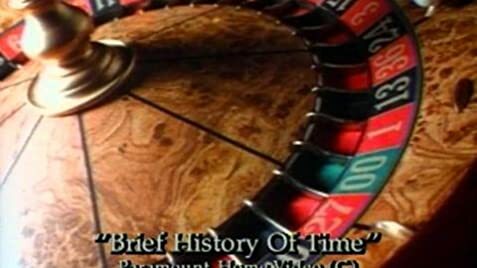 A Brief History of Time is not only a documentary on the beginning and the ending of the universal and reality as we know it, this is a story about the man and the genius known as Stephen Hawking. It is his story that reflects the story of time and change throughout the history of the universal. The style of the documentary / editing style of the interviews begin and end with a quick fade to black. Almost like blinking in between segments and interviews, the documentary gives you an odd feeling like this is the view point of Stephen Hawking and not the eye of the camera. The running time is only a little longer than an hour. It is a short story, then again, its subject matter could be talked about for days and days. An interesting and proud story. In Thomas Harris' book Hannibal, the protagonist Dr Hannibal Lecter is described as watching this film. Stephen Hawking: Which came first, the chicken or the egg? Did the universe have a beginning, and if so, what happened before then? Where did the universe come from, and where is it going?